The Republic of Ingushetia in the North Caucasus region of Russia is pursuing federal legislation that would protect the unique Medieval stone towers in its mountain gorges. Legislators from the People’s Assembly of the Republic of Ingushetia say that the region’s current heritage laws do not offer sufficient controls against the careless privatisation of monuments. They also stress that the regional branch of the Federal Property Agency has failed to properly maintain the towers. “Our goal is to avert further damage to the tower complexes and preserve our common heritage of generations,” wrote Zyalimkhan Yevloyev, the chairman of the assembly, on the parliament’s website. Ingushetia is also hoping for a Unesco World Heritage Site designation and is working with Russia’s Federal Agency for the Management and Use of Historical and Cultural Monuments to fast-track the process. Around 300 towers, built between the 16th and 17th centuries, are located on the Jeyrakh-Assa Reservation, which was added to the country’s tentative list for Unesco nomination in 1996. North Ossetia, another republic in the North Caucasus, and the Upper Svaneti region of neighbouring Georgia, are also known for their towers. 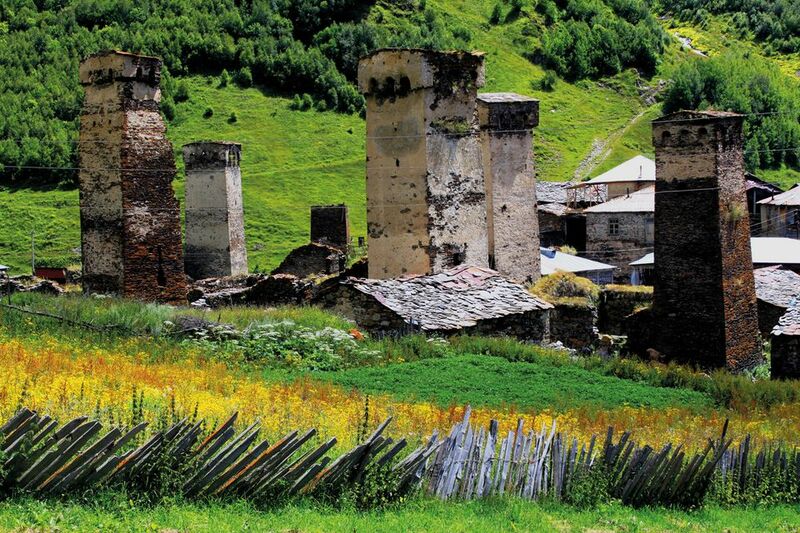 Upper Svaneti was made a World Heritage Site in 1996.